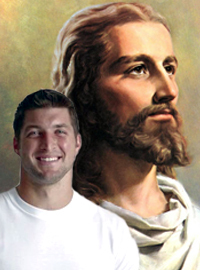 Over the past several months Jesus Christ has been trying to distance himself from Tim Tebow. Tebow admitted that while they were once very close friends, he has not seen or spoken to Christ in almost a year. According to those close to the situation, Christ has been trying to distance himself from Tebow over the last few months. Since his release by the New York Jets, Tebow has been trying to find another job in the NFL, but thus far, no team has been interested. While not going in to details about the nature of their relationship, Christ said that things are different between Tebow and himself.